Do you know what are the 2 questions I get asked almost everyday? How to control oily skin and how to control dandruff. 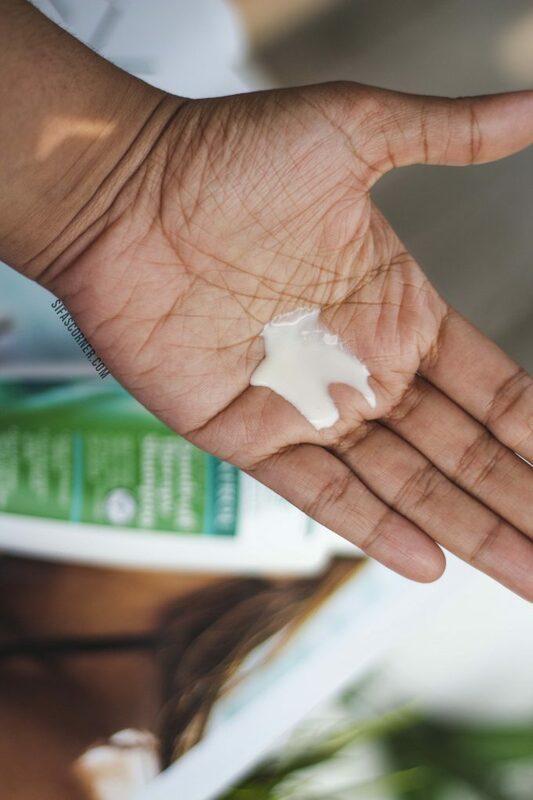 I have covered many articles for oily skin, so we are not going to talk about that today. We are going to talk about dandruff and itchy, dry, scaly scalp. 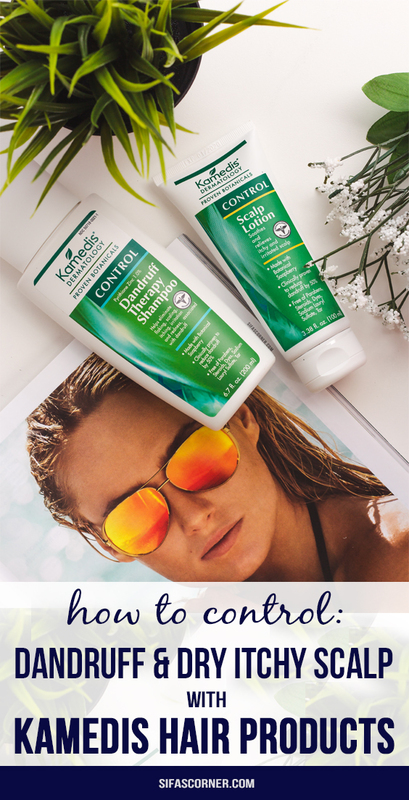 If you haven’t faced dandruff troubles, I mean EVER, you lucky duck! 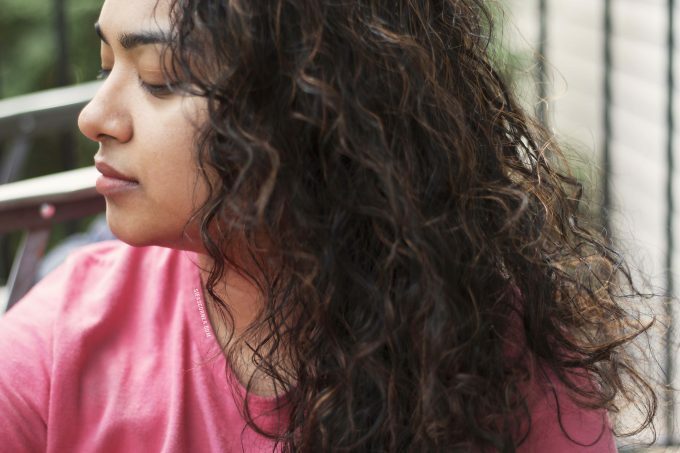 But for the most of us, talking about dandruff is probably creating an urge to scratch the head, because we know how annoying it is to have dry scalp and dandruff. It feels like nothing is giving relief….and the more you wash with shampoo, the drier it gets. If you don’t wash it, the scalp will get oily and the itch will just drive you crazy. I have some dandruff problems, specially in winter days but my husband’s condition is even worse all around the year. I can see the dry, peeling skin at the beginning of his scalp and it continues throughout all over his head. Even if he uses an anti-dandruff shampoo, the dandruff is still there. 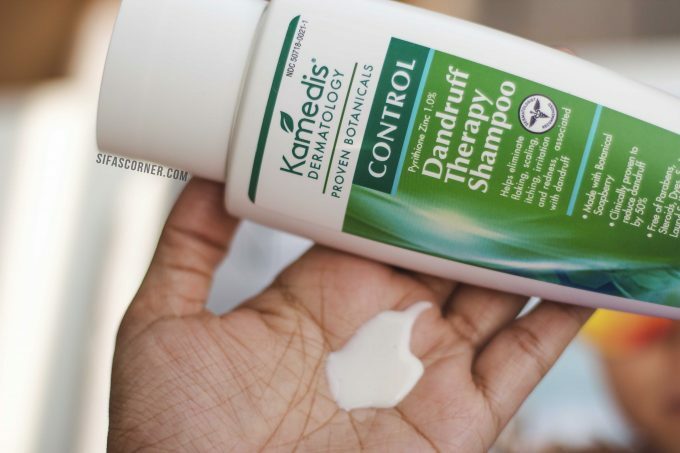 So, We both tried Kamedis hair products. A scalp lotion and an anti-dandruff shampoo. WHAT IS KAMEDIS? AND HOW KAMEDIS HAIR PRODUCTS ARE DIFFERENT? Kamedis skin formulations are derived from natural botanicals used in traditional Chinese medicine. These botanicals have been renowned for their therapeutic properties for hundreds if not thousands of years. The ingredients are conscientiously sourced and meticulously purified. Their manufacturing process employs the highest quality standards, including assessment of physical and chemical properties and microbiological testing. 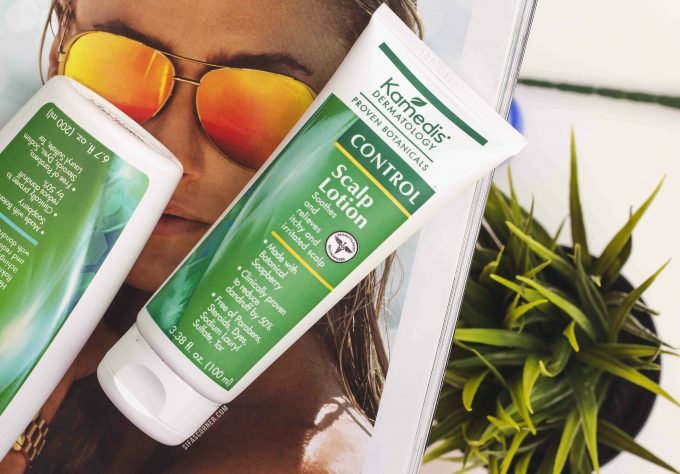 We took proven botanicals like soapberry (sapindus mukorossi) and combined them with modern technology to create two products – Scalp Lotion and Dandruff Therapy Shampoo – to treat dandruff and seborehic dermatitis. 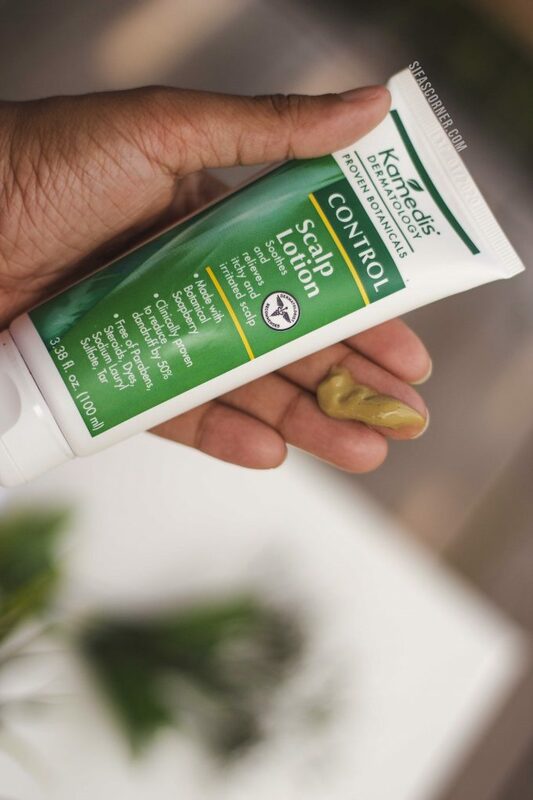 The scalp lotion is a treatment for skin symptoms associated with dandruff including a scalp that is flaky, scaly, itchy, irritated and/or red. 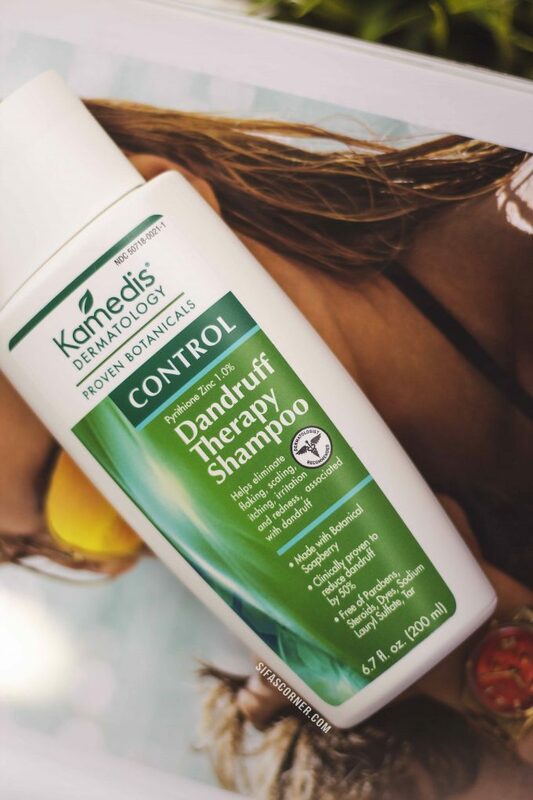 It is, Clinically proven to reduce dandruff by 50% in just 2 weeks. I used it on my damp scalp and on my husband’s dry scalp. I massaged the product on the scalp like an oil-massage with my fingertips and left it overnight. Next morning washed it off with the shampoo. The product doesn’t have any overpowering smell. 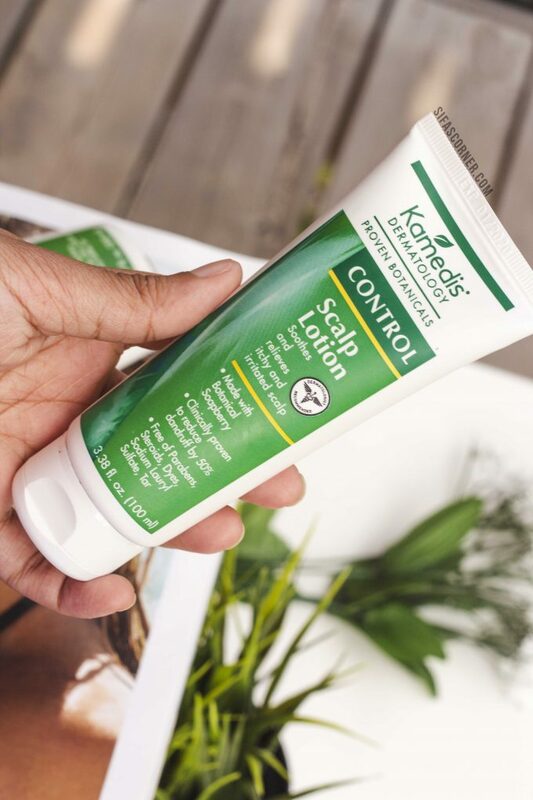 It’s lightweight and easy to work with, just like a cream, but for hair. It just absorbs into the scalp. This milky white shampoo feels and smells refreshing. I massaged the product for 2-3 minutes before rinsing thoroughly. It left my hair, scalp clean. I couldn’t see any dandruff after the hair dried down. This product can be used by adults and children as young as 3 years old. Though I didn’t use it on my 3 years old daughter. Found online here and retails for $15.99. Always do a sensitivity test before trying a completely new product. Apply on a small area of skin at least 24 hours before first use. Free of steroids, tar, SLS, paraben, and dyes. Worked effectively on both of us. My only complaint is I would have loved a bigger bottle. That’s it. At last a product that works! I will surely keep using it and specially try it on the harsh winter here to see how the duo performs!